Heidi‘s colorful gift wraps are just the ticket for the impending wedding season. Great patterns and colors to choose from and you can buy entire collections at a time that come with coordinating papers, ribbon and gift enclosures. In addition, letterpressed cards and paper journals are also offered. Beautiful stuff. 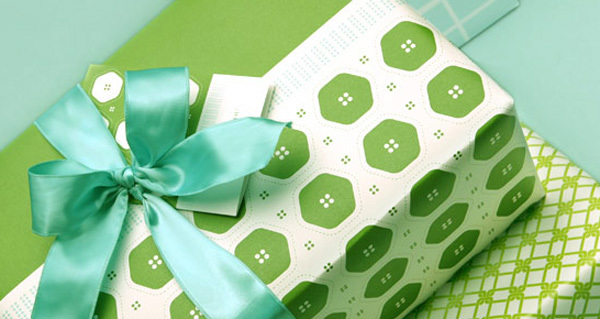 Buttons Wrap comes with coordinating sheets of paper, ribbon and a set of 8 notecards, $19.99.